Destin & 30A Electric generator installation and repair for homes, offices and industrial facilities. Avoid home & business power loss during electric outages, hurricanes, local flooding and evacuations. 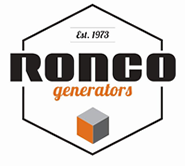 The return on investment from adding a standby electric generator to a home varies with different parts of the country. In inland areas where power outages are less likely it may not be a good financial investment but in areas prone to hurricanes, severe thunderstorms, icing conditions, flooding, hot summer temperatures or extended cold the installation of a full home generator may increase the value of the home by an amount greater than the cost of installation. In any case a home with a generator is likely to sell more quickly than a home wothout one. Home Electric Generators are becoming increasingly common in our area just as air conditioners, the internet and other conveniences. They can be powered by natural gas which is readily available in most neighborhoods or by propane in other areas. Most installations automatically start powering homes when a power outage occurs and automatically shut down when power is restored. This can be an important consideration for children, the elderly & pets and prevents loss of refrigerated food and flooding from melted ice not to mention maintaining home comfort.